It is perhaps understandable that the old liturgical texts of Europe are much better known than our own native North American ones. The latter have long been known and studied by priests and specialist scholars—particularly linguists—but they have not been satisfactorily addressed or discussed in the secondary Catholic literature. 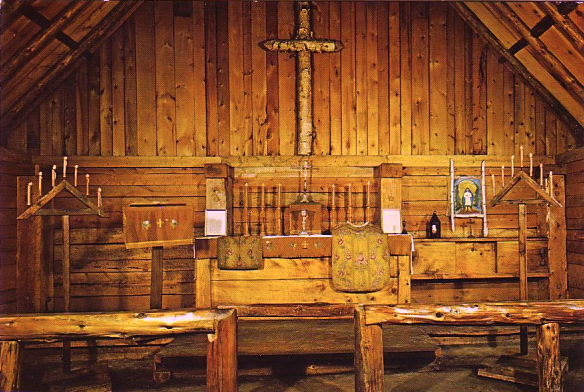 In compiling the material for The Roman Rite in the Algonquian and Iroquoian Missions, I was already coming to the conclusion that the liturgies seen in the Indian missions of North America were not simply vernacular translations of the Roman Missal but were actually unique liturgical uses that deserved to be categorized as such in their own right alongside the Sarum, York, and others. The evidence for this claim rested on the fact that the Masses sung at Kahnawake and other Indian missions did not just differ in language but also in the texts and propers. For instance, instead of the three Roman Introits for the pre-Lenten season (Circumdederunt me; Exsurge, quare obdormis; Esto mihi in Deum), the Akwesasne mission sang Iroquois versions of the Respice in me (from Pentecost 3) at Septuagesima and Quinquagesima, and Miserere me domine (from Pentecost 16) for Sexagesima. from the Kaiatonsera Teieriwakwatha (1890). At other missions, like Kanesatake and the Algonquian-speaking missions, there were two Introits used over almost the entire year: a version of the Terribilis Est (from the dedication of Churches) for penitential seasons like Advent and Lent as well as the Sundays after Pentecost, and a version of the Gaudeamus (for saints' feasts) for festive seasons like Christmastide, Epiphany, and Easter. Key differences also can be found in the Divine Offices preserved from these missions. These Offices were, it is true, intended as devotions for the laity rather as canonical hours for a native clergy, but all the same they are remarkable in their divergence from the typical lay offices we are accustomed to from European Books of Hours. Sunday Matins at the Micmac mission of Restigouche featured the three Psalms 1, 14, and 23: Beatus vir, Domine quis habitabis, and Domini est terra. Sunday Matins in the Little Office of the Blessed Virgin—the most common lay office of Europe—used Psalms 8, 18, and 23. Moreover, many of the "Psalms" of the Indian offices are actually not Psalms at all but catechetical lessons or other texts. Doctrinal "Psalm" from the Office of Prime, the Use of Restigouche. Findings like these remain to be uncovered in the printed paroissiens as well as in the precious manuscripts laying quietly and virtually unknown in libraries and church archives across the continent. From my own work with these texts—limited as it has been—I have come to the conclusion that we not only need more scholars to review this material, but also a new kind of scholar, one whose training is as much in American Indian languages and culture as in the classical Roman liturgy and its variants. Perhaps "new" is not quite the right word in this context, as we had scholar-priests who fit the bill centuries ago. It was they who wrote the works that we are now able to study. But we have not seen many such individuals for quite a long time. The modern liturgist can only stare blankly at Introits in Mohawk. The modern American linguist can read them but cannot melodically identify them or place them in their proper liturgical context. If they know the Mass, it is very likely from an academic, not an experiental, standpoint. Ideally, these scholars would come from the missions themselves; failing that, they would at least have the training or academic interest for the job. But we have not, sadly, been encouraging that process to happen. Native communities have thankfully been taking language preservation quite seriously, and there is a great effort to promote them even in cases where true first-language speakers are few or even nonexistent. That part, at least, seems to be working quite well lately—a significant turnabout from only 100 years ago when boarding schools actively tried to extinguish these languages. It is, rather, the liturgical education that is now critically wanting. Most Catholic children in Canada and America are being raised with little to no exposure to the Missal that is part of their patrimonial birthright. 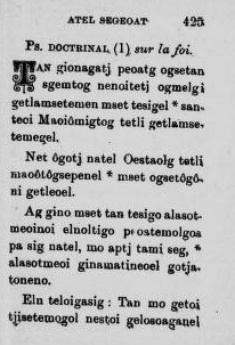 Being able to deal competently with North American Indian liturgical manuscripts involves not just facility in the target native language(s) but also in Latin. You need to be able to read chant notation. You need to be familiar with the classical Roman Missal and Office. Introits, for example, are quite critical to the distinctiveness of the various Indian Masses, yet in most modern parishes Introits have been unceremoniously abolished in favor of an entrance hymn selected by the choir. Your average Catholic has almost no practical knowledge of them. Much of this liturgical education could be accomplished by simply exposing students to a regular or semi-regular traditional Latin Mass. Once they internalize its basics, they are then in a prime position to investigate old manuscripts and liturgical documents and discover any unique local usages. I was born after the introduction of the Novus Ordo Missae but, since the early 2000s, I have been a regular attendee of usus antiquior Masses as said by diocesan and FSSP priests. Neither have had any obvious interest in an "inculturated" liturgy. Yet, it was only with the stock Roman Mass solidly etched into my mind that I was then able to confront old historical and liturgical texts with an eye towards isolating differences. 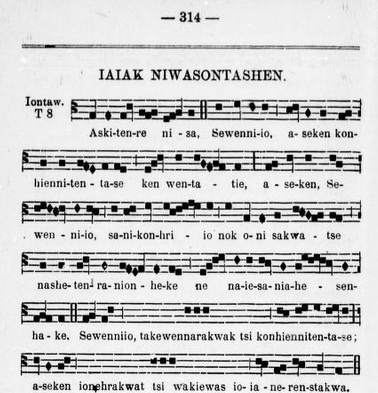 I eventually saw that the Akwesasne and Kanesatake Introits were arranged along quite different lines. That the sequence Sacrae Familiae was a uniquely Canadian composition. That the Africans of the diaspora kept feast days hardly known elsewhere, such as St. Benedict the Moor, King St. Elesbaan, and St. Iphigenia. That the plighting of troths in the Sacrament of Matrimony was the last Catholic vestige of the Sarum use until Anglo-Catholics, seeking reunion in the process that ultimately led to Anglicanorum Cœtibus, restored to Catholicity once again the Collect for Purity and Sundays after Trinity. That the American bishops who created the Baltimore Catechism also produced a vernacular Morning and Evening Office for the use of the Laity. It is doubtful that I could have come to realize these facts or their significance without having first been immersed in the traditions of the Church. I wouldn't want to argue for the more widespread use of the traditional Missal on purely practical or pedagogic lines. There are many better reasons. But I do want to stress, for those committed to the cause of inculturation but unconvinced by the value of pre-Vatican II liturgy within that process, that a thorough grounding and practice in the traditional liturgy is a gateway that can unlock centuries of existing cultural adaptations that would otherwise be forgotten. It is unlikely that liturgical manuscripts like those which Father McNaspy examined along the St. Lawrence River will remain obscure for much longer. As he found, they are simply too great a treasure to keep quiet about. And I remain convinced that the new scholars who will finally give these treasures their rightful place in history are ones one whose knees have already bent many times at the invocation "Introibo ad altare dei…."